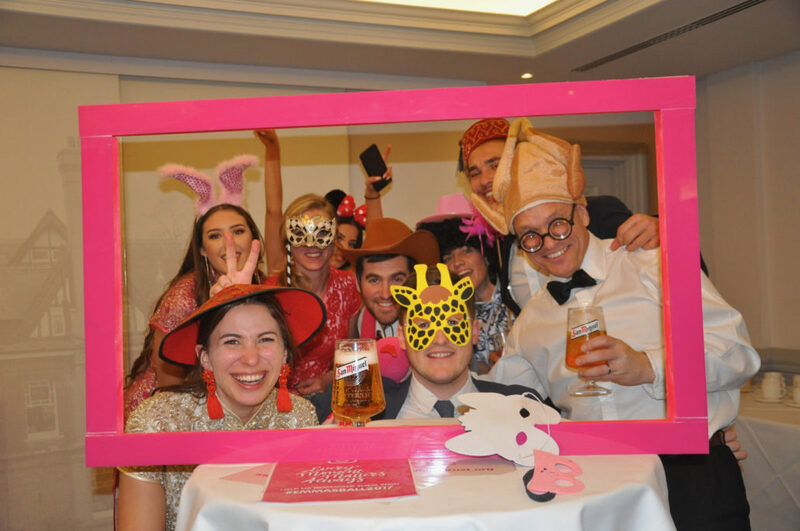 Well what a night we had on Saturday 9th December 2017 at Woodlands Park Hotel for Emma’s Ball! This year’s Ball was one of our biggest yet with 139 guests attending the event to raise money for our cause. Guests arrived for reception drinks at 6.30pm and were seated for dinner at 7pm, with food choices having already been made. As usual our Master of Ceremony David took charge of the room, encouraging people to get involved with the Table Auction, Raffle and most importantly the Auction. We were very lucky to have been presented with many auction prizes this year and a HUGE thank you must go out to everyone that kindly donated…as through a combination of all of our fundraising efforts we managed to raise just shy of £9000! To put this in perspective this amount of money will allow us to continue to maintain our flat that we purchased 2 years ago that assists teenagers that are receiving treatment at The Royal Marsden Hospital in Sutton. This amount is extra special as it means that we are able to continue this funding for the next 7 months, so a MASSIVE thank you to everyone that bid on auction prizes, took part in the raffles and most importantly donated!